How do these numbers help you see? 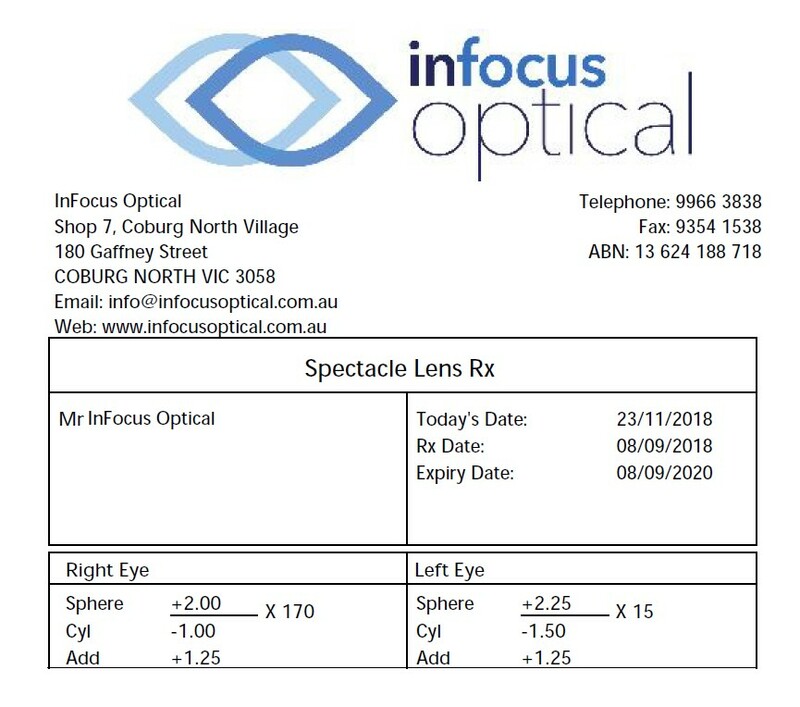 Find out what the numbers for your eye prescription means! Have you ever wondered what all those lenses your optometrist uses are for? How do those prescription lenses help you see better? With this in mind, keep reading to find out more! After going through ‘better 1 or 2?’ about a hundred times, your optometrist finally leaves you alone. The result is that you can see much better than before. What next? 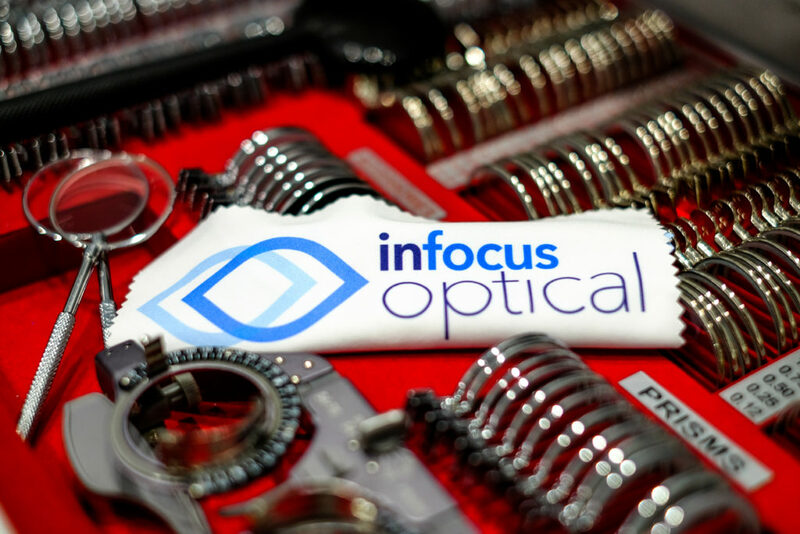 At InFocus Optical, we don’t just stop there. While we do end up with a script after all the choices, in some cases this may not be the final prescription. Give me a stronger prescription! What was the previous prescription? Were we happy or unhappy with the previous prescription? Is there a significant power change? Is there a large axis change? Do the two eyes have a big difference between them? What distance are your near tasks? Which previous lens type did you have? These are a few of the things that might affect your script. For these reasons, sometimes a slight tweak needs to be made. If you think your vision is as much of a science, as it is an art, then you are right! Let our experience be a guide to better vision for you. So, after all of this, we end up with a few numbers. Specifically, it is with these numbers our optical dispenser will find a suitable frame for you. The same numbers also tell our lab how to cut your lenses. There should be something to indicate Sphere, Cylinder, Axis and Add. Otherwise, the numbers are usually in that order. Firstly, let’s look at the ‘Sphere’. A sphere is just like the Earth. Or maybe a basketball or soccer ball. That is to say, it is perfectly round. 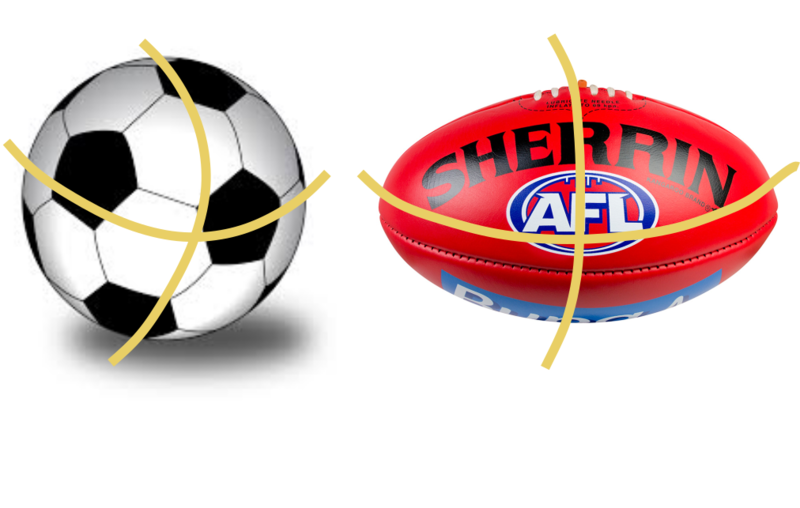 If that is the only number written, you have no ‘Cylinder’ then your eye is just that – a nice round ball. Great! If it is a minus or negative number, you are short-sighted. This is a myopic script and your eye ball is longer than a normal eye ball should be. This means light focuses in front of where it needs to. Minus glasses help to focus this back in place. If you have a plus or positive number, you are long sighted. At this point you might be wondering “Does this mean I can see far away only, or up close?”. The truth is, short and long sighted are not great terms. Sometimes it can be both close and far, and sometimes neither! The best way to think about long-sightedness (hyperopia) is that your eye ball is shorter than a normal eye length. Because of this, the world focuses too far behind the eye. In this example, plus glasses help to get you back in focus. Now, back to why the term long-sighted is confusing. 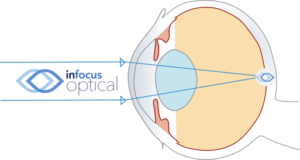 The human eye also contains a lens. In some people, this lens can flex and change shape easily. In others, this may be more difficult. This is what your eyes use to focus from far to near. For everyone, this ability becomes more difficult with age. This is why people need reading glasses in their mid-40’s and beyond! For someone who is long-sighted and young enough to flex their lens, they can work hard to focus. 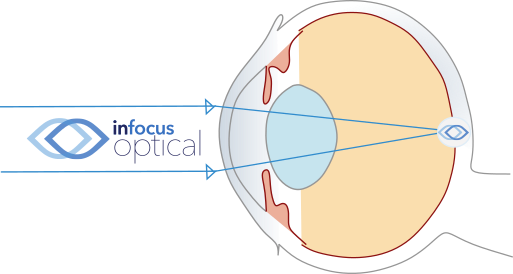 Accommodating Hyperopic Eye, notice how the lens flexes. However, this strains the eyes, leading to sore eyes, headaches and tiredness. Glasses for long-sightedness relieves this. Instead of your eyes over-working, the glasses work instead. 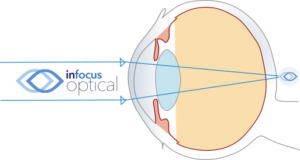 The ‘Cylinder’ means that your eye has some astigmatism. While that word may seem scary, it really shouldn’t be. One study of a military population found 63% of eyes had astigmatism!1 We agree soldiers have great vision, right? 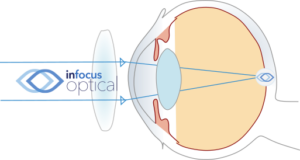 So, what is astigmatism? If a spherical eye is like a soccer ball, then an astigmatic eye is like an Aussie Rules football – or a rugby ball for the wider readers. In one direction the ball is flatter, and the perpendicular direction it curves more steeply. The result is you have one power in one axis, and a different power in the other. 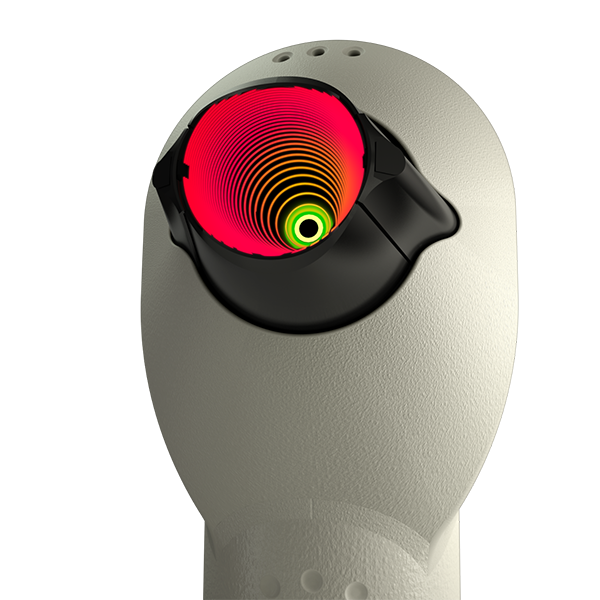 The axis specified by the optometrist, tells the optical dispenser which direction the football points. 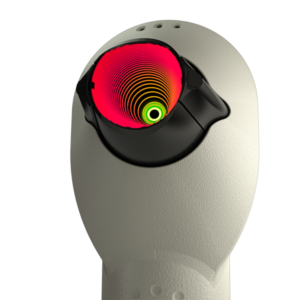 In fact, if you are super curious, our corneal topographer can map your astigmatism in 3D! 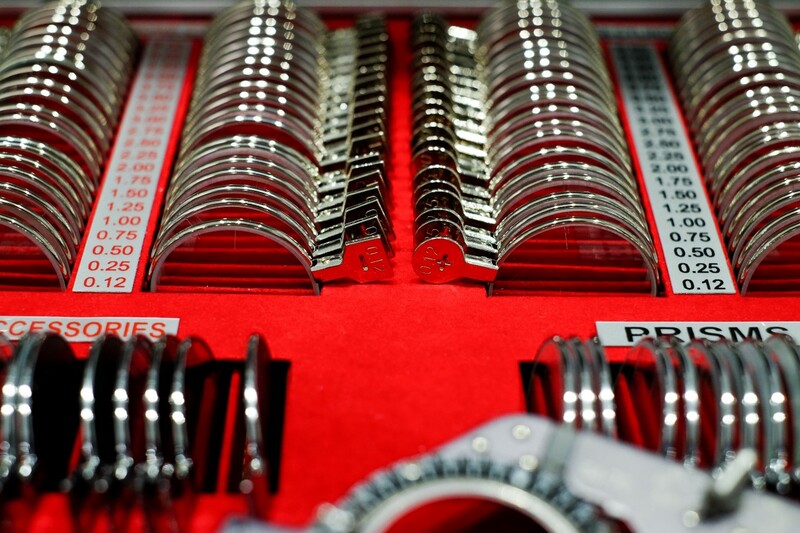 This information is important when selecting a frame for your glasses. The axis can affect frame choice a lot. Some scripts can mean certain frame shapes will not work with your prescription. Most importantly, we use all this info to find where the thick and thin edges of your lens will be. Therefore, our expertise will ensure the right frame choice for you. 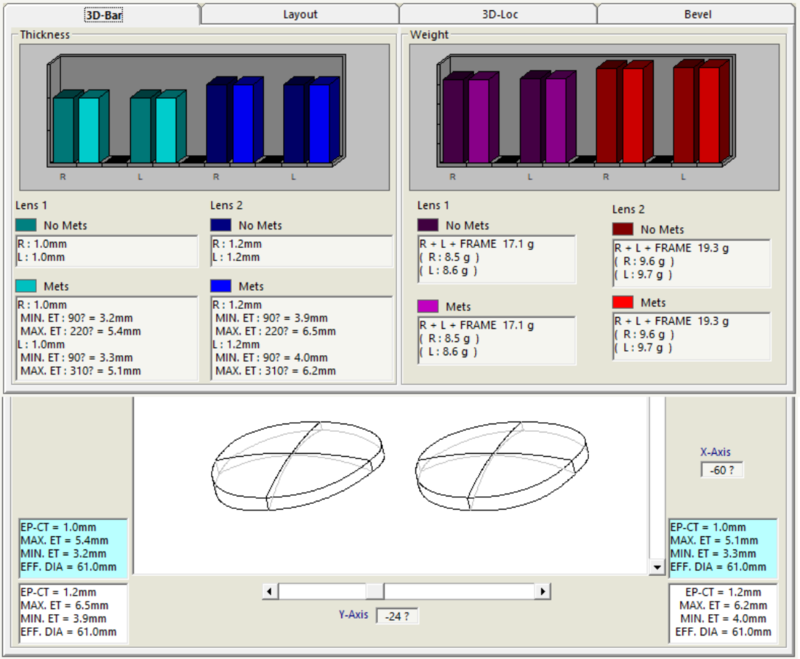 Even more, we can trace frames in store and make a 3D plot of your lenses. 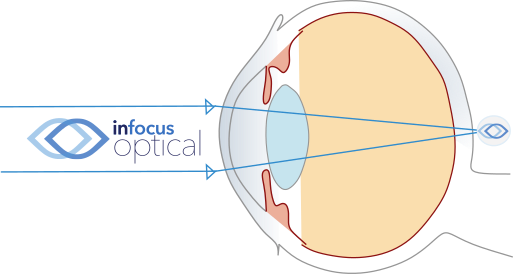 This information gives the weight of your lenses and thickness at different points. Does my eye sight get worse with age? Finally, the ‘Add’. A near addition means that your eyes need help close up. Of course, our eyes need to be able to focus far away and up close in our daily activities. Therefore, if we have difficulty doing this, we need some help. Most of the time it is because of ageing, but some eyes just need that boost. The ‘Add’ determines how much help is needed. In fact, we can provide this help in the form of reading glasses, occupational lenses, bifocals or multifocals. At InFocus Optical, we listen to your needs, to work out which option would be best for you. Visit our friendly team to discuss the right glasses for you. 1. Satterfield DS. Prevalence and variation of astigmatism in a military population. J Am Optom Assoc. 1989 Jan;60(1):14-8.